hd00:12SEOUL - NOV, 3, 2015: Man on motobike with heap artificial flowers and walking people on street. Overpass in Seoul turned into park with cafes and shops. hd00:16 Man to cross the road to traffic congestion of Kolkata,West Bengal/India, January 2016,Kolkata is the capital of the Indian state of West Bengal. hd00:20SAIGON, VIETNAM - MAY 12, 2015: Road traffic in Saigon, Vietnam. In the biggest city in Southern Vietnam are more than 4 mil. motorbikes, the traffic is often congested. 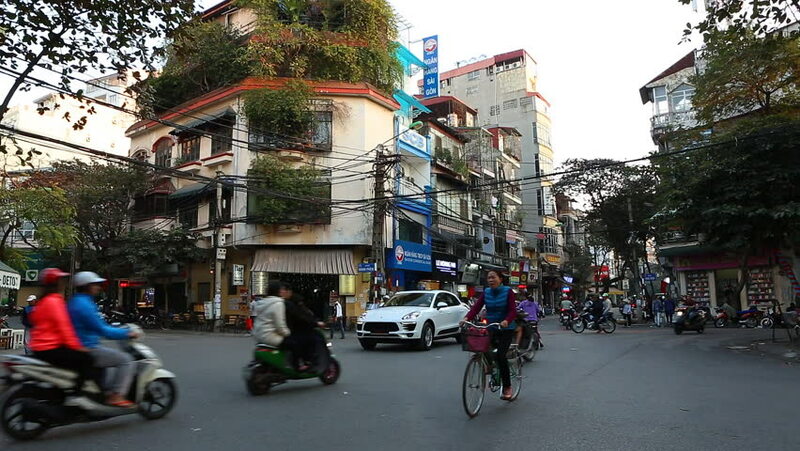 4k00:09HANOI/VIETNAM-JUNE 20,2015: Unidentified riders ride motorbikes on busy road on June 20, 2015 in Hanoi, Vietnam. Motorbike is the most favorite vehicle for Hanoians. hd00:17Shanghai, China - December 2007: Bicycles and traffic at an intersection in the French Concession area of Shanghai, China. hd00:20HANOI, VIETNAM - FEBRUARY 5, Unidentified people pass in Old Town February 5, 2011 in Hanoi.